Communities start with relationships. But how do you build relationships authentically while working for “the man”? As a branded community builder, building authentic relationships can be a mystery (at best) or an uphill battle (at worst). Working on a branded community requires a delicate balance between building authentic relationships and serving the business. But there is a way to systematize all of this to build relationships at scale. It doesn’t have to be a mystery. Solving the problem requires knowing that the key ingredient in relationships is trust. 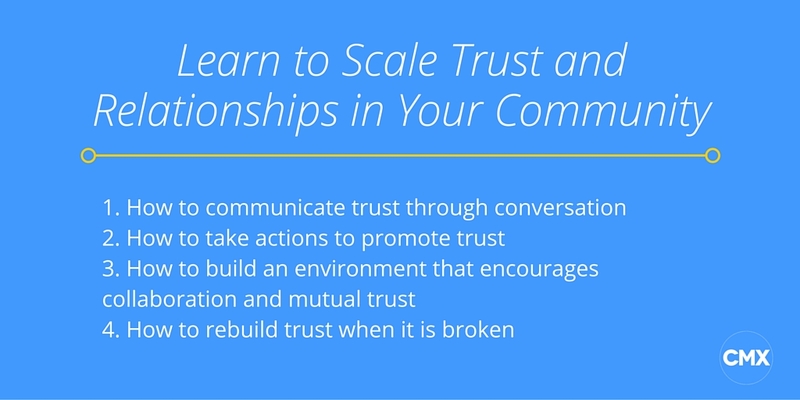 Trust, like any other piece of a community strategy, is something that can be systematically built. Building trust is something that can be carefully taught and studied. With a system in place, you’ll learn how to build trust as you get to know individual members and create conditions for the same trust in your community space. 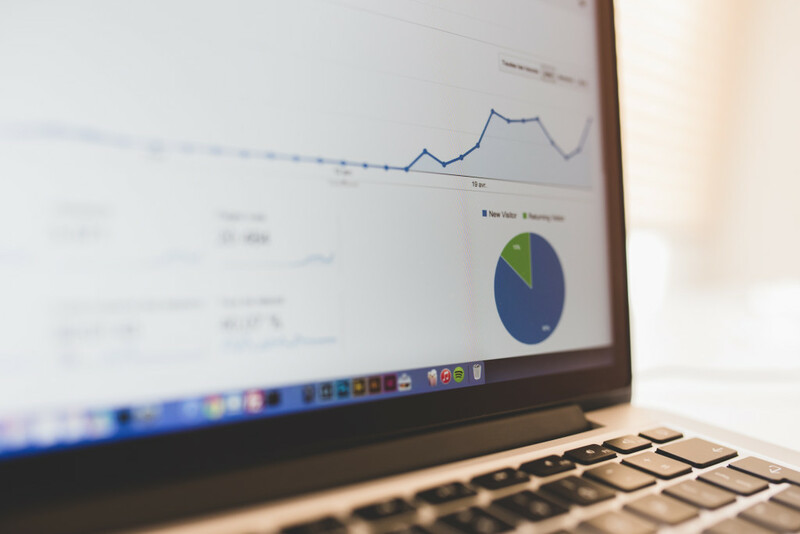 This trust will, in turn, reduce churn, increase activity and engagement, and increase the likelihood of organic referrals. This system is based in research and scientific studies. We went to the professionals for this one: 7 Cups of Tea founder and clinical psychologist Glen Moriarty with Director of Community Laura Small, Leader Networks CEO and veteran researcher Vanessa DiMauro, Ben’s Friends co-founder Ben Munoz, and CMX Summit Speaker/Head of the FBI Behavioral Analysis Program Robin Dreeke. These experts have galvanized 100,000+ volunteers (Moriarty); built huge, enduring community programs for companies like Cisco, Hewlett Packard, and Hitachi (DiMauro), created 30+ communities for patients with rare diseases (Munoz); and who have built trust in some of the most dire conditions (Dreeke). With their help, you’ll learn to create a community where it is safe to connect, the kind of community that becomes a larger part of your members’ lives. Today, we’ll go over how to build and re-create trust at all different levels of your career and your community’s maturity. When we’re building communities and safe spaces, we often come up against skeptics. How do we carefully begin to break down people’s hesitation and welcome them into our inner circle? And how do we remain authentic throughout? Robin Dreeke, head of behavioral analysis for the FBI, has created a clear strategy for building trust through individual conversations. With these tips in mind, you can turn any conversation into a trust-building activity. Put others first in every conversation. Learn about their priorities and goals before sharing yours. Suspend your ego. Stop thinking about yourself. It is all about the other person. In the conversation, allow others to talk. Don’t speak over them. Place others’ needs ahead of yours. Seek others’ thoughts and opinions. Make them feel important. In already-established community spaces, trust starts from the moment a member joins your platform. Your members’ early experiences shape whether they see your community as a place they can instill their trust or a place that’s full of false promises. In addition, in the first few days of membership, be there to answer any questions or guide new members through any contribution they make. Feature user-generated content in special spotlights on your platform like Spotify does in their monthly roundups. Moderation is key in keeping communities on the right track. Studies have shown that being watched makes people behave more responsibly. It’s a form of reputation management. In your community, make sure your moderators are visible and vocal in the community. Etsy, for instance, shares moderation tools with their community at large. What if you already had theses initial pieces in place, and you just need to find ways to strengthen your members’ trust over the long game? Here’s where you can go from there with consistent actions that build security. Dr. Glen Moriarty, founder and CEO of 7 Cups of Tea and a clinical psychologist, explains that innate trust thresholds play a large role in how likely people are to build trusted bonds. We can help to overcome people’s natural barriers if we take on the role of a secure leader who communicates regularly, not intermittently and unreliably. For people with insecure attachments, security and trust can be earned through many positive attachments that start to fill up that tank. How can you apply this to community building? The best way to build positive attachments with a community is by making statements or promises that you deliver on reliably. The moment you don’t deliver on a promise, expect that trust to erode. To ensure that you deliver on promises, your company has to be aligned with the community needs and a certain level of transparency needs to be agreed upon with your internal team. As a community manager, you can be proactive in helping to create or encourage this. Documents and programs like product or community roadmaps, customer advocacy councils, AMA (Ask Me Anything) sessions with founders, and more can be a part of building up this transparency. Manage expectations of what you’re capable of and your own personal boundaries as a community leader. Be consistent in your actions (this is why playbooks or processes are important, even if you’re at a startup). Promote transparency and share information freely (see ideas above). Once you have established trust through your actions and your community conversations, it’s time to give away your own trust to your members. Vanessa DiMauro, CEO of Leader Networks, says that building social capital is one of the best ways to do this. Lower Firm Boundaries. People with a large amount of experience and success usually aren’t afraid of jumping into conversations. It’s the up and comers, who feel they have to protect and defend the authority they’re still building that will be afraid to contribute. Vanessa suggests balancing the power to yield higher comfort with knowledge sharing. “Find those up and comers and spotlight them. Call them an authority, give them a platform, and validate their knowledge and experience.” Doing this will make them more likely to share knowledge. Marshall Executives. Some executives will participate, some won’t, but having the C or V suite active signals to the community that it’s a safe place. They also carry a lot of tacit knowledge – actions and processes that seem automatic or gut decisions to them, but when written out (as online contributions require) become a great resource. Create Triggering Actions. Use the psychology of the “blue light special” to create a compelling (if slightly artificial) special event. Vanessa will sometimes choose a small group of people and hold a focus group with them through email with a targeted topic and ask people to send a post or contribution about it her way. After she’s gotten a decent amount, she reaches out to them again and asks them to post it in a specific time frame. From outside appearances, there’s an instant party happening on the forum and the burst of activity prompts more activity. In summation: Giving trust creates more trust. 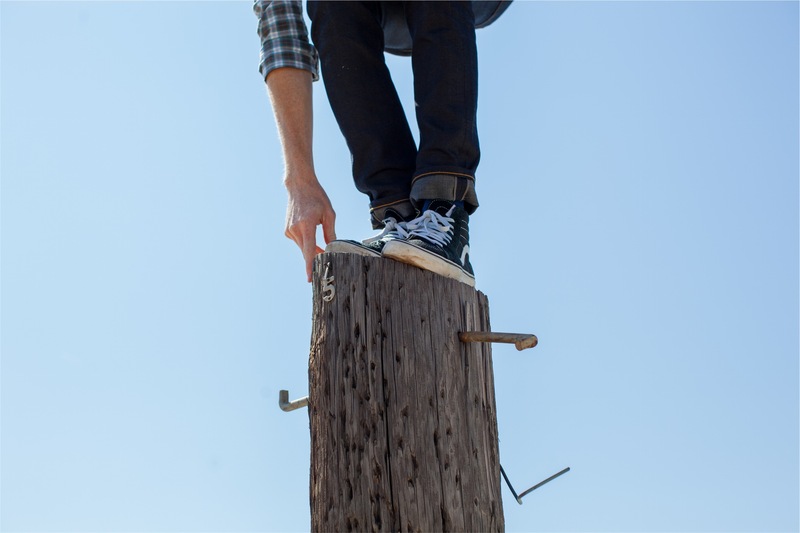 Sometimes, we’re tasked with bringing trust back to a community after it has been severed. Maybe you’re the first community hire, and the company has been unresponsive up to this point, or maybe a crisis has occurred or a bug has hit everyone in your community. What do you do if you’re not starting from scratch and you have to fix what was broken? The first step in an undertaking like this is to really understand what you’re signing up for and be clear with all parties involved, explains Vanessa. “Some situations aren’t recoverable and you need to manage the expectations of the sponsors.” Understand what these sponsors (usually executives or owners of a community) need and what they’re willing and able to give. Set out clear measurements of success. Vanessa suggests first investing time into a strong listening program. Create a thoughtful and appropriate research initiative and a structured research guide that will help you truly understand the problems at hand. Identify your influencers and don’t shy away from the angry ones, and reach out to them. Don’t take up a lot of their time and make sure to give as you’re taking. Limit yourself to three or four burning questions, record the answers, and use the aggregate information to build an analysis of what went wrong and proposed course of action. After this has been shared with the sponsors and mostly agreed upon, take it back to the contributors. Host a conference call to display and share the findings, gather their reactions, and let them give their feedback and input. Once the review has been agreed upon by management, take it to the larger community (with the focus group’s support) and start acting on your plan. In a recent CMX Hub thread on handling communication in a crisis situation, community veteran Patrick O’Keefe echoed a similar sentiment: be deliberate, personal, and methodical in your response when re-building trust. “Respond to [all members] personally, apologize… and give them a quick explanation of what happened and why (most people won’t care, but doesn’t hurt to put it in there, as long as it’s brief),” he explained. We all know: Trust, when broken, is nearly impossible to re-build. That’s why you must delicately handle the re-building of trust, doing everything you can to recover and create new patterns of engagement. Sit down with a handful of community members (or prospective community members) and talk with them using Robin Dreeke’s LEAPS framework. Make promises and deliver on them, even if it means over-estimating your deadlines or communicating when you make mistakes. Find 2-3 “up and comers” in your niche and give them special attention and responsibilities. Has your internal team or moderators been weighing into conversations in your community? If you don’t have enough resources to cover all the discussions, it may be time to look for volunteer moderators. Find tasks to delegate to the community. Where are you finding yourself getting stuck that people might like to help? Create a mini private discussion group via email and then ask your members to post the responses at specific times, triggering a “discussion party” in your community space. Decide a reasonable measure of success for the recovery. You won’t gain everyone’s trust back. Identify the key angry members in your community. Start to craft an outreach strategy in which you speak to them about what went wrong, acknowledging your mistakes. Remember, you can implement the LEAPS framework even in conversations like this. Make the conversation about the person who feels wronged. Don’t make it about you and your job.